Once you begin watching spiders, you haven’t time for much else. I have been raising some tulip-tree silk moth larvae at home and at work which has necessitated the periodic collecting of small branches of tulip poplar. 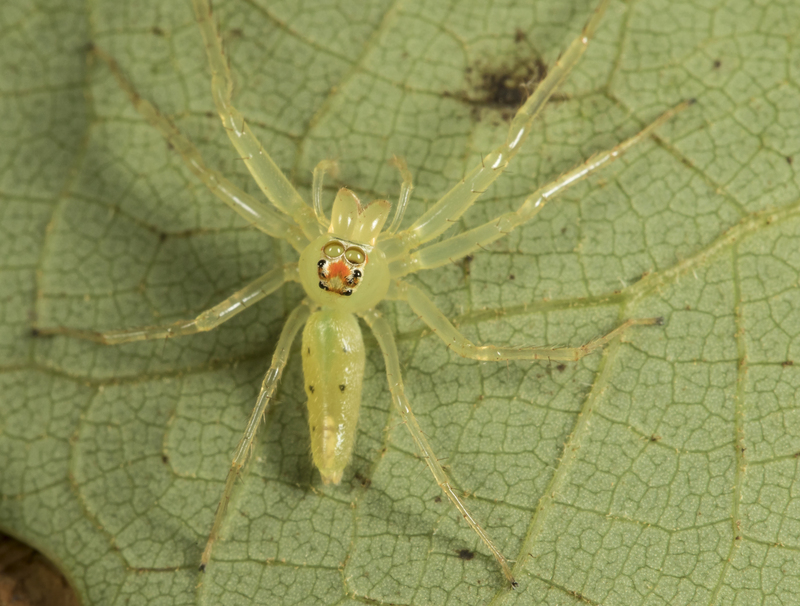 Last week, when I cut one and brought it in I noticed one of my favorite spiders sitting on the underside of one of the leaves. 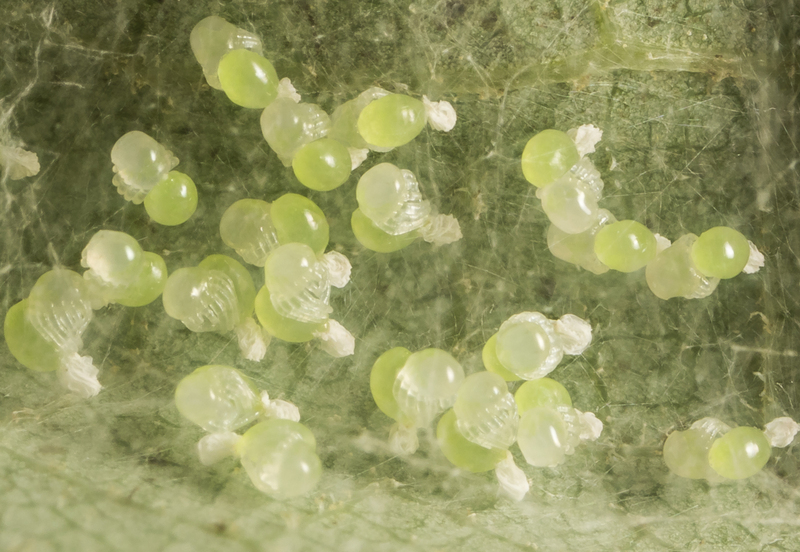 …a cluster of eggs in a loosely spun silken case on the underside of a tulip poplar leaf. 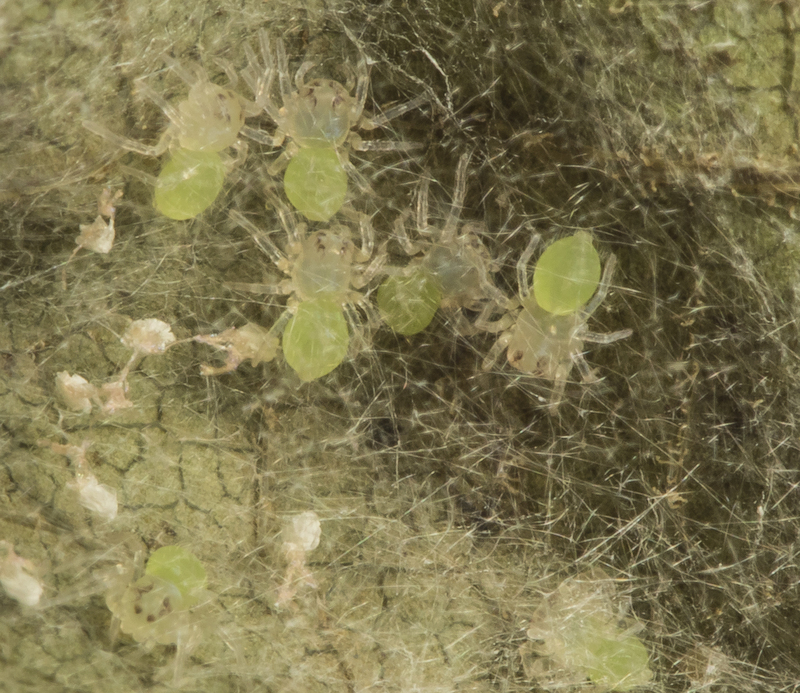 They did not resemble the usual spider egg case, which tends to be enclosed in a globular silken egg sac. 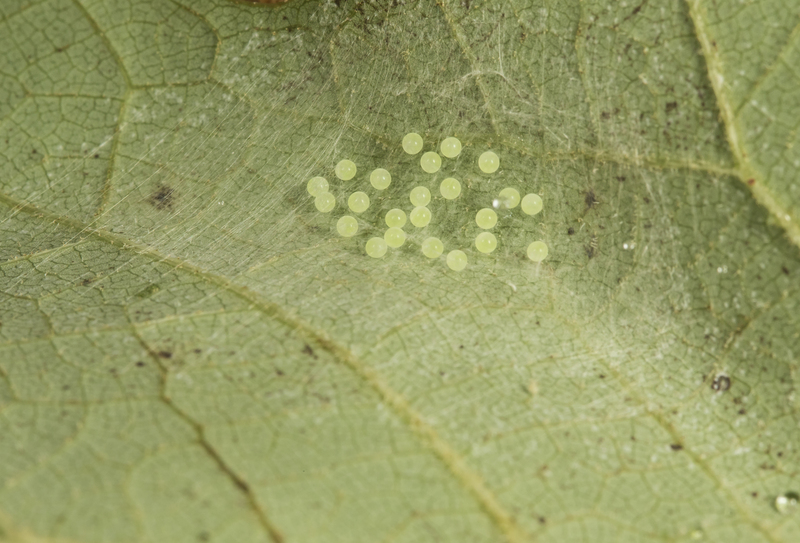 These were loosely dispersed beneath a sheet of silk as individual eggs. I checked online just to make sure and found some other images that confirmed these were indeed her eggs. Since I had already cut the branch, I decided to keep them and watch what happened. Three days after I collected the leaf with the eggs, I noticed a change. There appeared to be spider-like blobs poking off the green eggs. I must admit, I just could not figure out how this worked. Was this thing with leg-like appendages the spider emerging from the egg? 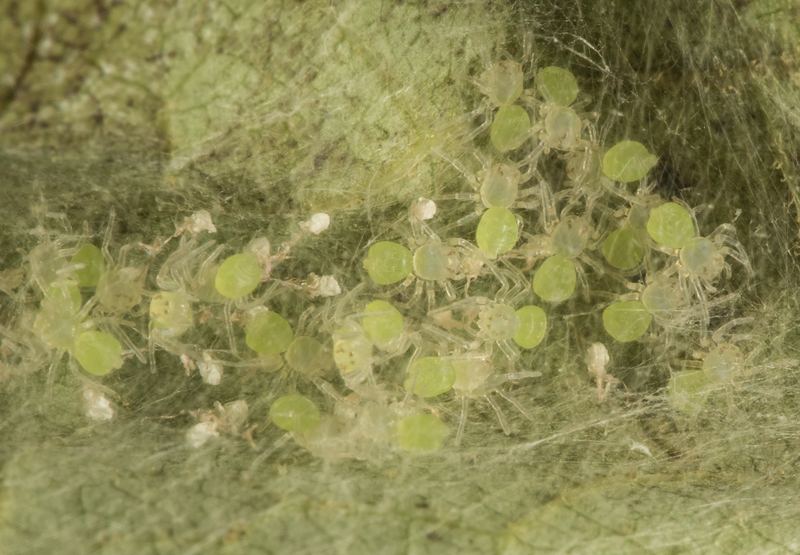 The more I looked at it, I decided that the old egg shell is actually the whitish crumpled blob you can see next to each green orb in the photo, and that the roundish green thing is the abdomen of the a new spider. 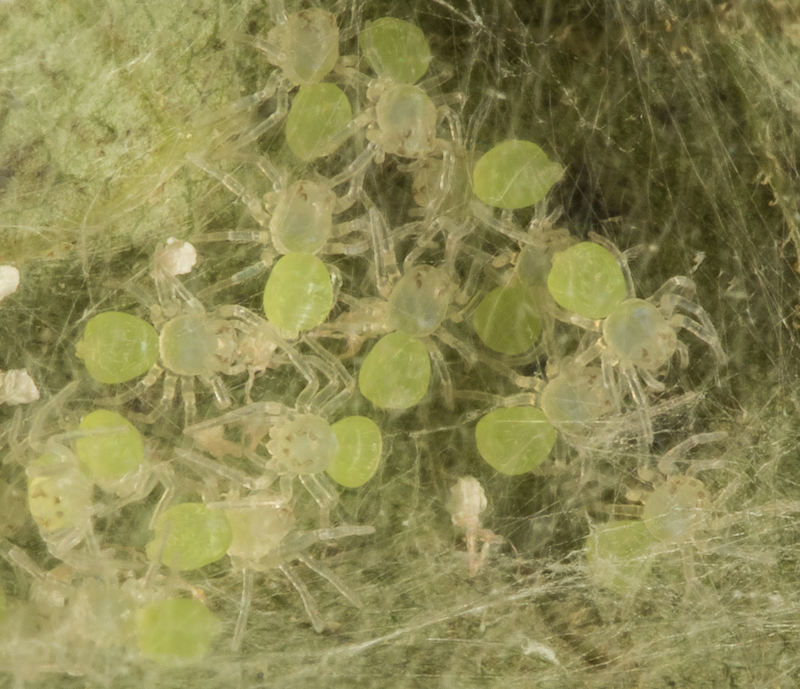 This was confirmed over the next couple of days as I watched the spiderlings unfold their legs (this occurred on day 5 after I collected the eggs and two days after the previous photo was taken). This entry was posted in Natural History and tagged eggs, magnolia green jumper, spider by roadsendnaturalist. Bookmark the permalink. this is surely in my top 3 favorite posts here! 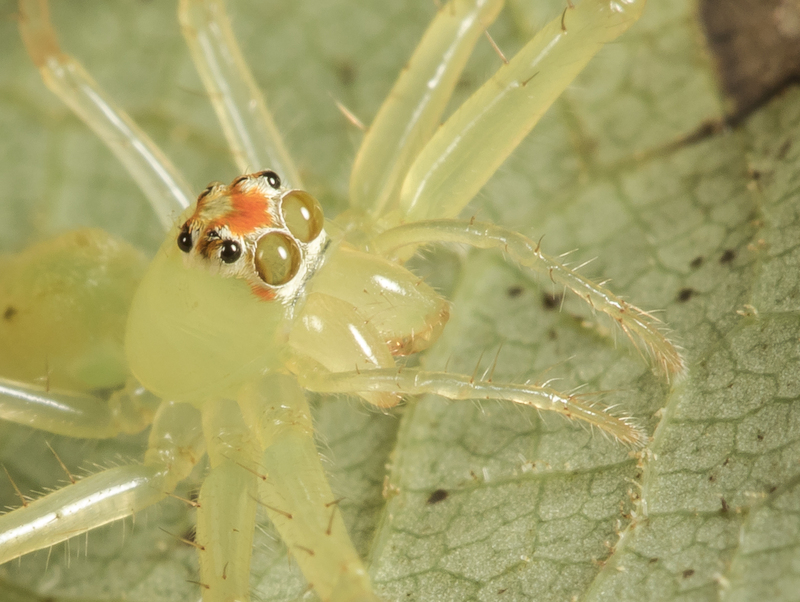 Love the green spiders and the great photos! Thanks Mike! Fascinating!!! Thank you so much for tracking and sharing this discovery!